In honor of National Sandwich Month, The Hightower is offering a 15% discount on all their sandwiches during lunch, Monday through Friday, 11am – 2:30pm. The discount will be available now through August 31. The Hightower offers a selection of tasty sandwich options, including hanger steak sandwich (charred tomato, mushrooms, caramelized onions, aioli), masa fried gulf oyster sandwich (sriracha aioli, wood sorrel, flying fish roe, lime, avocado oil), carnitas sandwich (salsa verde, avocado, pickled shallot, pinto beans, crema), roasted pork jowl sandwich (fresh tomatillo, greens, sriracha aioli), and a roasted brisket sandwich (manchego, chimichurri marinated mushrooms) which was recently featured on the Food Network as one of Aaron Franklin’s favorite dishes in East Austin. 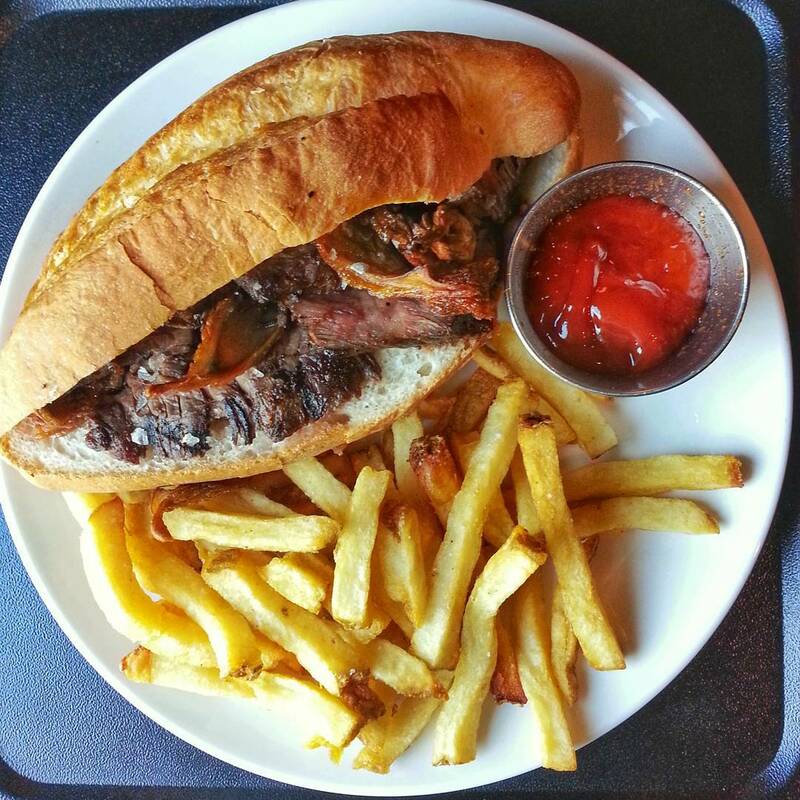 Celebrating #NationalSandwhichMonth with a delicious hanger steak sandwich filled with charred tomatoes, mushrooms, caramelized onions and aioli. @thehightoweraustin is offering 15% off all sandwiches the entire month during lunch hours!